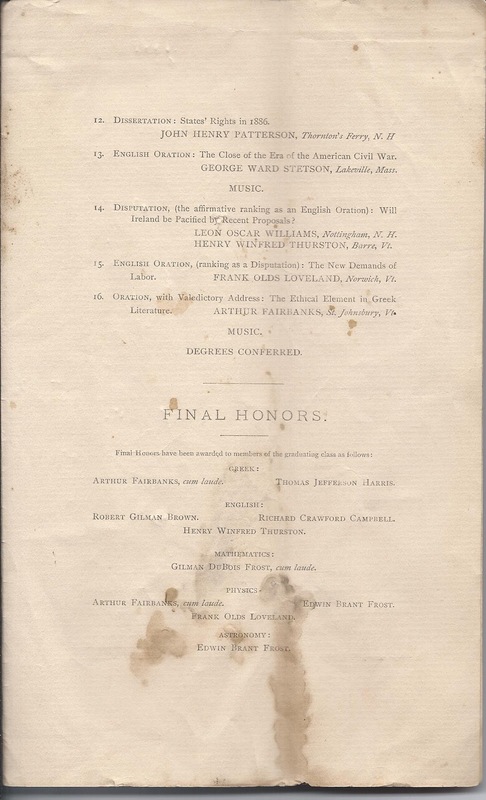 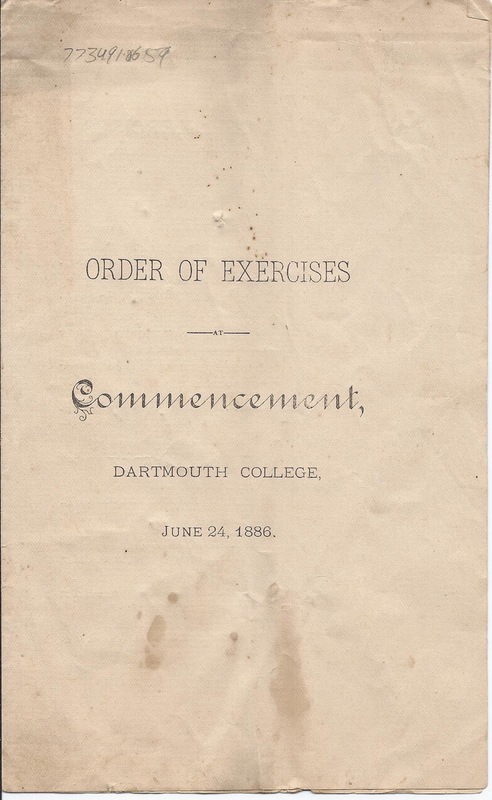 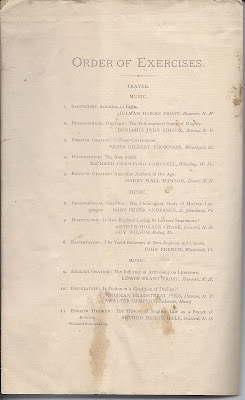 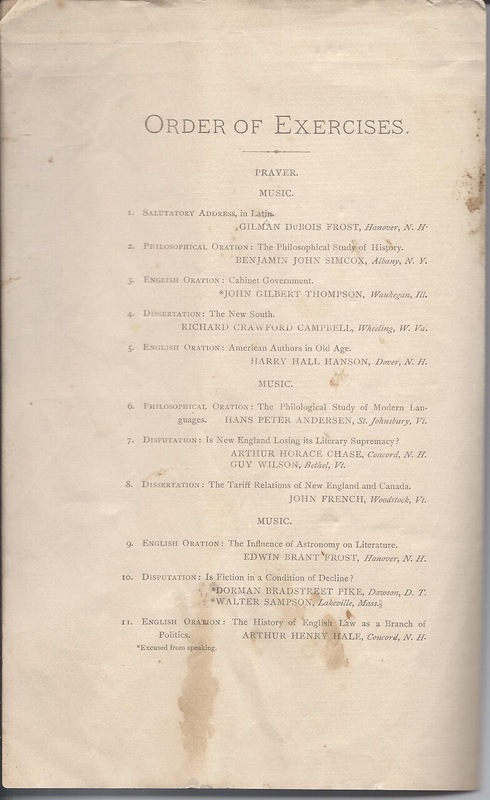 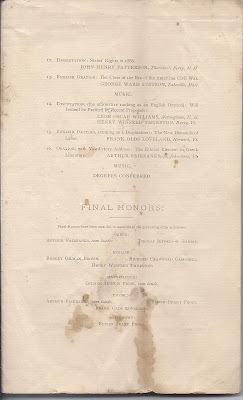 Order of Exercises at Commencement, Dartmouth College, June 24, 1886. 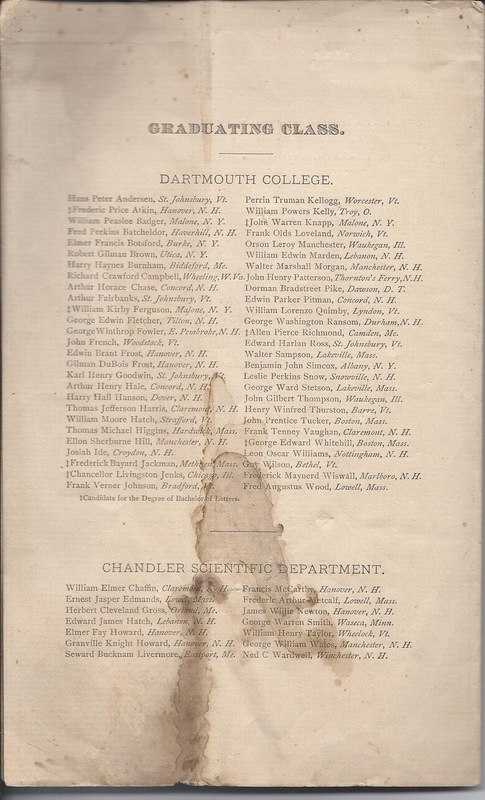 Paper, approx. 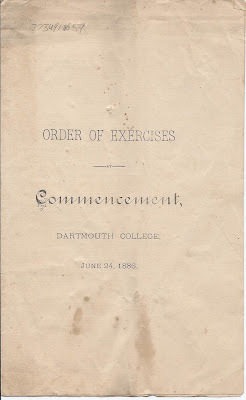 19" x 12", folded once, to create four panels.